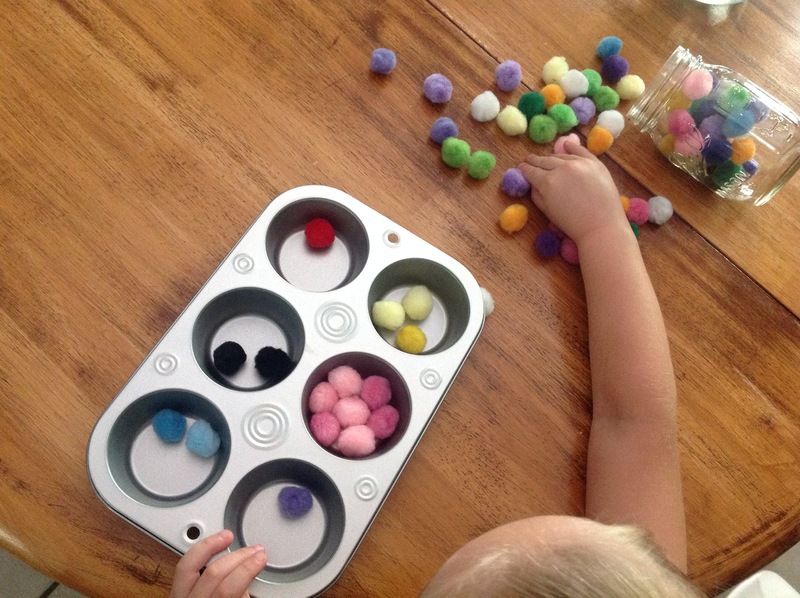 Looking for a fun way to teach early math skills to your little ones? These are simple ways to work on math together to make it feel fun and playful for your little one. Children will often learn to count the same way they might learn a song. They can say the words, but don’t really understand what they mean. 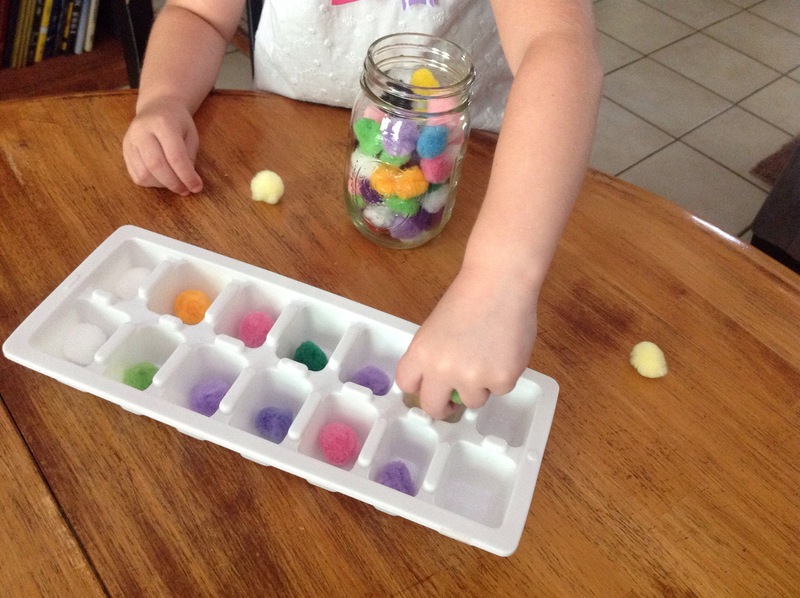 In this activity, we put one pom-pom in each space, helping your child understand that “one” means 1 object. 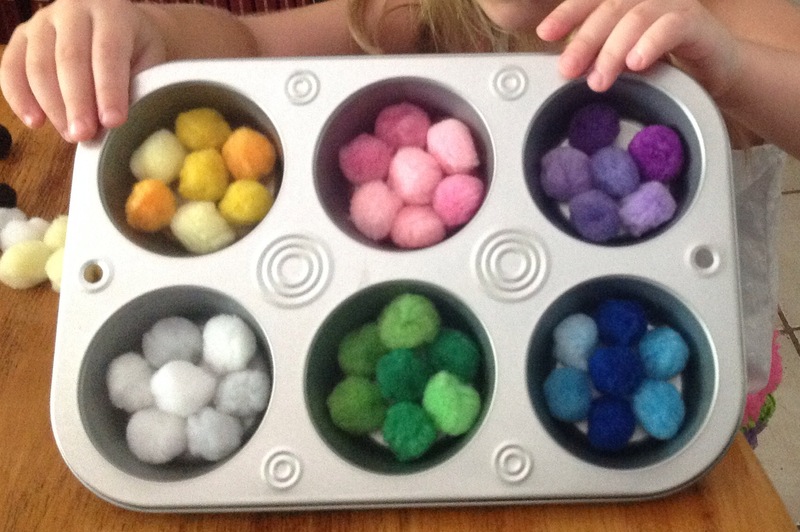 Sort the pom-poms by color, one in each muffin cup. If your child has trouble getting started, you can put one of each color in the cup. Then, ask your child to try and find the “match”. 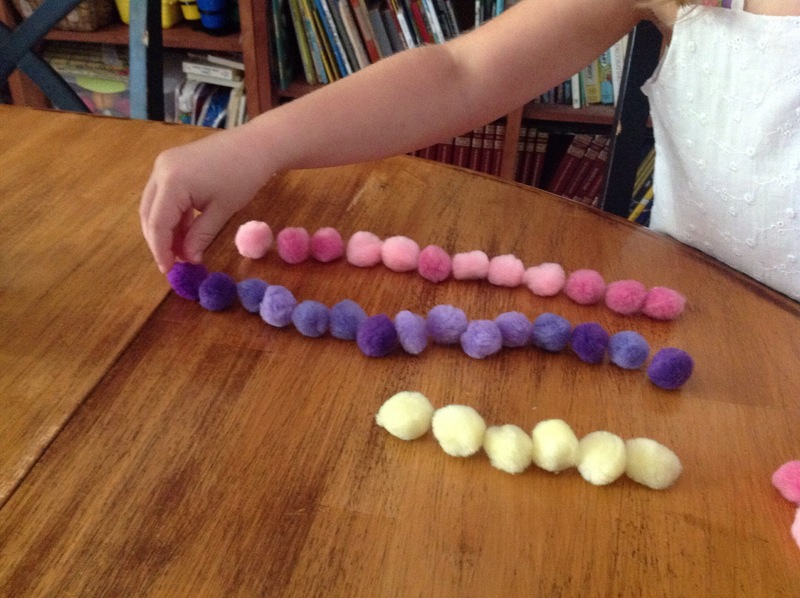 Have your child sort the colors and make a “train” (be sure the trains all start at the same spot!). The finished result will be a bar graph! You can count the pom-poms, touching each as you go along. You can also talk about which colors have more or less. Something to remember: If your child doesn’t want to finish (or even start) the activities, it’s OK! Some children will want to spend time just exploring what’s in front of them. Remember that play is a child’s work. Children are naturally curious and love to learn…don’t be afraid to follow their lead. And, of course, have fun! The ice cube tray reminds me of the game mancala!! Ha! I hadn’t thought of that, but you’re absolutely right! I really like this concept. Nice. 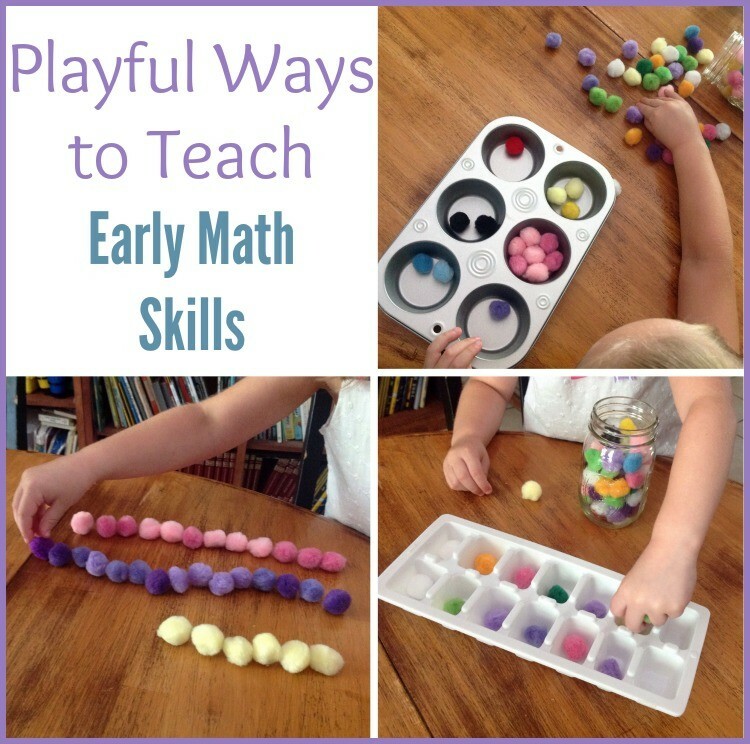 Hey Buddy!, I found this information for you: "3 Fun ways to teach early math skills". Here is the website link: https://www.beautythroughimperfection.com/early-math-skills/. Thank you.